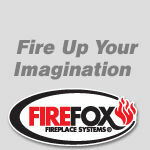 "When the temperature drops nothing beats a Firefox." If you want to create a wood burning fireplace in a new or existing home, the Firefox 'Ligna' OFP system ensures you can have a fireplace in the architectural style that your desire - almost anywhere. 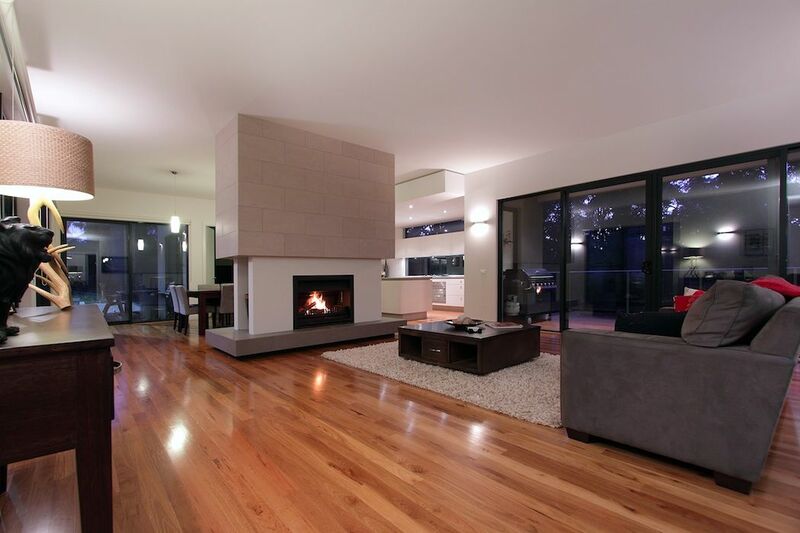 Designed not to spill smoke and fully complied to Australian standards, the system is many times more efficient than a traditional brick built fireplace and can be positioned on a timber floor without the need for special footings/foundations. A simple non-combustible enclosure (zero casing) around the system is all that's required. The unit can then be surrounded with timber framing and plasterboard making the architectural options virtually limitless. Economical to install, a Firefox 'Ligna' OFP system produces brilliant radiant and convection heat which is much more effective than a conventional brick fireplace. A unique heat exchanger built into the unit collects the hot air which would otherwise be lost up the chimney and circulates it into the room - so the heat is kept inside where you want it. The built in damper further enhances the units overall efficiency and further reduces heat loss. 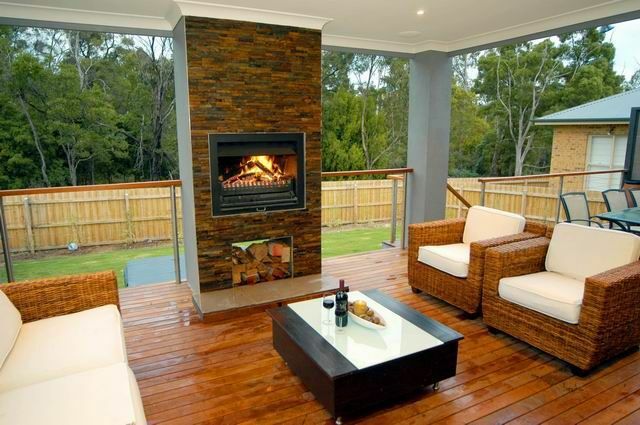 Its unique log burning grate is designed to maximise heat build up and radiant heat output. The grate also features a slide out ash pan for simple and easy ash disposal. The Firefox 'Ligna' OFP wood fires also have a unique safety screen which neatly slides away under the unit when not in use. This eliminates having to place a screen on to your floor when re-stoking the fire. Proudly backed with a 10 year firebox guarantee, the Firefox 'Ligna' OFP system is the smart way to build a brilliantly effective open wood burning fireplace that will provide many years of fireside pleasure. "One of the best ways to address climate change is to use more wood, not less. Wood is simply the most abundant biodegradable and renewable material on the planet "- Patrick Moore, Co-founder of Greenpeace, The Washington Times, January 2006.